Could Concrete Help Get Coal Ash Out of Neighborhoods? By its own estimate, Duke Energy is currently storing nearly 160 million tons of coal ash throughout North Carolina. Finding a way to properly recycle this ash could remove a heavy burden from the communities that live near it. Coal ash — a byproduct of burning coal for electricity — contains numerous heavy metals that pose health risks to humans, including heart disease, lung disease and certain types of cancer. Most of Duke Energy’s coal ash is now disposed of in unlined impoundment ponds near the utility’s 14 active and retired coal-fired power plants across North Carolina. In 2015, the state’s environmental agency identified nearly 200 wells near impoundment ponds that contained elevated levels of hexavalent chromium and vanadium, both known carcinogens. 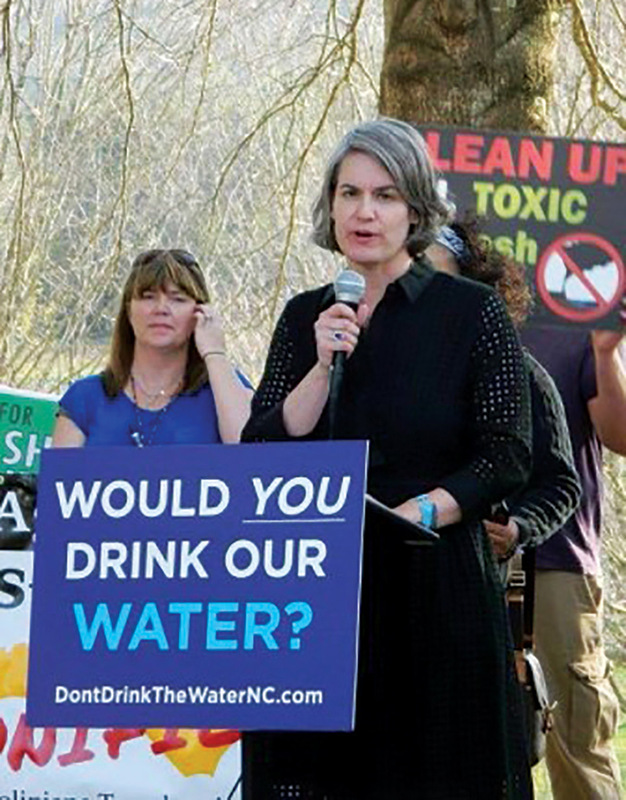 Caroline Armijo speaks about cleaning up coal ash in North Carolina. Photo courtesy of Caroline Rutledge Armijo. 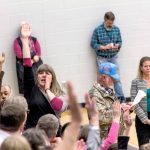 In response to the disastrous 2014 Dan River spill that contaminated the river with nearly 40,000 tons of coal ash, the state passed the Coal Ash Management Act later that year to oversee the closure and cleanup of these ponds. Last year, an amendment to the law mandated that recycling be part of the closure strategies at three Duke Energy plants. For Caroline Armijo, who is concerned about the coal ash near her hometown of Walnut Cove, N.C., these recycling projects open the door to thinking about the coal ash impoundments in a different way. The U.S. Environmental Protection Agency defines beneficial use as “the recycling or reuse of coal ash in lieu of disposal.” Finding another purpose for the ash can keep it out of landfills and impoundment ponds. 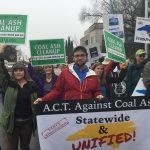 In 2015, Duke Energy — one of the largest utilities in the country and by far the largest utility in North Carolina — recycled 63 percent of the coal ash it produced in all its plants nationwide, according to the utility’s figures. But it only recycled 38 percent of the ash it produced in North Carolina. The company highlights only three recycling projects on its website, each of which repurposes the coal ash as structural fill. 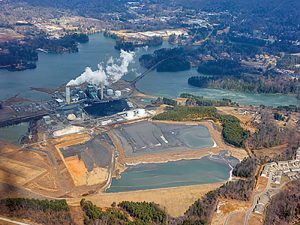 Ash was used as a base underneath parts of the Asheville Airport and is planned for use refilling the Brickhaven and Colon clay mines in Chatham and Lee counties. For structural fill projects, the ash is placed between liners to limit contamination with the surrounding soil and water. But EPA regulations for coal ash used as structural fill are more lenient than for coal ash buried in a landfill. 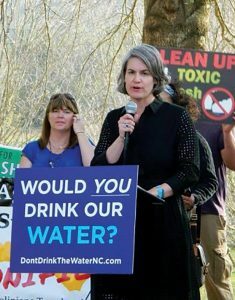 Citizen and environmental groups have asked N.C. Superior Court Judge Carl Fox to review whether the clay mines that would be filled with coal ash should be considered landfills instead of structural fill. As of press time in early February, his decision has not been announced. Reusing coal ash as structural fill leaves the coal ash unchanged and in a loose form that is more likely to leach toxins when exposed to water. Using coal ash to make concrete is one way to physically change the coal ash and encapsulate the toxic elements while creating a valuable material. Concrete is typically made by mixing sand, rock and water with cement — a dry powder often made from burned limestone. Because of its chemical properties, coal ash can be substituted for cement when making concrete. Encapsulating the coal ash into a solid state minimizes the risk of contaminants leaching into the surrounding soil, water and air. The resulting concrete is also generally used for non-residential infrastructure projects, which further reduces risks to human health. “It’s not the perfect solution, but it’s the best solution we have available to remove the ash from communities and to find a beneficial use for it,” says Amy Adams, North Carolina program manager for Appalachian Voices, the publisher of this paper. Ash from coal-fired power plants can be recycled at two stages. First, it can be used immediately after it has been produced from burning coal at a power plant. This is called production ash. Coal ash can also be recycled from impoundment ponds or landfills. This ash is more difficult to reuse because it has been mixed with water and contains ash of different types and qualities. It also may have deteriorated over time. In order to repurpose stored ash it must first be processed, which is what Duke’s facilities at the three new recycling locations would be responsible for. According to Jimmy Knowles, the vice president of research and market development at The SEFA Group, a company that specializes in marketing coal ash, production ash can be used by the concrete market with less processing and at a lower cost, since only ash that meets industry standards is collected and sold. Coal ash has been incorporated into concrete for more than 60 years, according to a paper presented at an industry conference in 2005. Coal ash is not required for making concrete, but according to Knowles, when it is added the resulting concrete is more stable, stronger and often less expensive to make than concrete made from limestone-based cement. “When it’s used in the concrete, not only does it make the concrete better, but it ties up these trace elements, these ‘constituents of concern,’” he says. 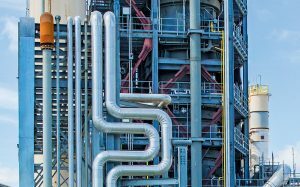 Two of the sites — Buck Steam Station in Salisbury, N.C., and H.F. Lee Plant in Goldsboro, N.C. — have already been announced. A third site must be announced by July 1, 2017. 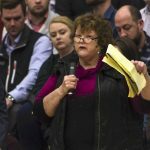 “I just keep saying, ‘Oh my God, this is all that we have asked for.’ After all the years of litigation and controversy, they’re finally going to remove [the coal ash],” Deborah Graham, a community advocate near the Buck Steam Station, told the Charlotte Observer when the deal was announced in October. Duke Energy has retired both the Buck and Lee power plants, and neither is producing new coal ash. Together these two sites store only 12.6 million tons of the nearly 160 million tons of coal ash in the state. Duke Energy plans to leave the vast majority of the state’s ash in unlined, drained impoundments covered with a liner, a technique known as cap-in-place. According to Amy Adams, several of Duke’s power plants that continue to produce and store large volumes of ash should be considered for recycling facilities. For example, the Belews Creek Power Station in Stokes County, N.C., stores nearly 20 million tons of ash, and the Roxboro Plant in Person County stores 34.6 million tons of ash. A coal ash recycling facility. Courtesy of The SEFA Group. 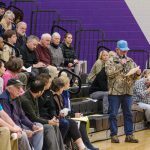 According to a recent study by the Electric Power Research Institute, these two sites generate much of the state’s new production ash and store much of the state’s pond ash on-site. Both the Belews Creek and Roxboro plants already provide production ash to the concrete market. But neither can currently recycle its stored ash. Henry Batten, president of Concrete Supply Co. in Charlotte, N.C., purchases some of that ash and is a strong advocate for more coal ash recycling. According to Southeast Energy News, his company “consumes about 2.1 to 2.5 million tons of ash annually” in North and South Carolina — and wants to buy more. 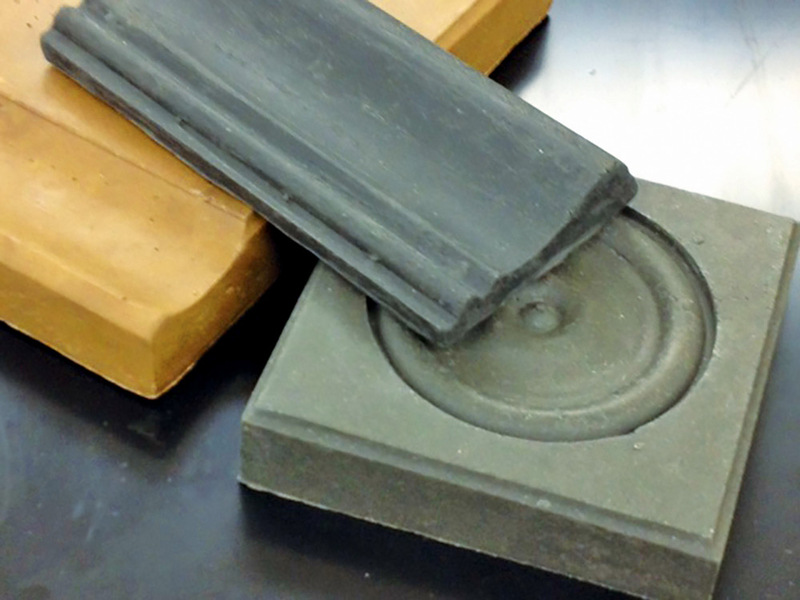 Batten sees a market in recycled pond ash. “We would hope that every plant that ever gets capped would eventually allow us, or someone like us, to harvest that ash for reuse in concrete because it’s better – it’s a more sustainable option than leaving it in the impoundments,” he told Southeast Energy News. Burning limestone to make cement creates a significant amount of carbon dioxide, a greenhouse gas that contributes to climate change. In 2009, cement manufacturing “was the fourth-largest source of U.S. carbon dioxide emissions,” according to the U.S. Energy Information Administration. But every ton of production ash — which already lost most of its carbon when the coal was burned for electricity — used in cement reduces the carbon footprint of the resulting concrete by approximately one ton. Recycled pond ash has a slightly larger carbon footprint, since lingering carbon must be burned off before it can be used in cement. According to Knowles of The SEFA Group, the reduction in carbon dioxide emissions gained from recycled pond ash versus traditional cement varies by the quality of the ash, but he estimates that a two-thirds ton reduction can be expected for every ton of recycled ash used. He acknowledges that carbon dioxide is released when the carbon is removed from the coal ash, but he points to the overall reduction in emissions in the concrete industry when coal ash is used. “The only large-scale commercial operation in the U.S. that is currently processing wet ash is the SEFA STAR process,” the Electric Power Research Institute study states. The SEFA Group’s plant in Georgetown, S.C., processes pond ash from the Santee Cooper Winyah Generating Station. Recycling plants dry the ash to remove moisture, burn off any remaining carbon and process the ash to ensure that it meets industry standards. According to Knowles, one of SEFA’s large recycling facilities could process up to 500,000 tons of pond ash per year, and even larger facilities could be built. After removing moisture and carbon, each facility could supply between 300,000 and 350,000 tons of ash per year to the concrete market. Knowles doubts these recycling projects could provide enough financial incentive for utility companies to stop all cap-in-place closures. But “if you dig it up and move it, and put it back in a lined landfill, you haven’t gotten any value out of it,” he says. Reusing coal ash in concrete provides access to a pre-existing and large-scale market. But other technologies are also being developed. Dr. Kunigal Shivakumar is a professor at North Carolina A&T University, where his research focuses on developing new composite materials that are lightweight and high strength. Following the Dan River spill, his research took on new urgency. He and his colleagues developed a technique of mixing coal ash with other substances to create a plastic-like composite with many potential uses, including roof tiles, barrier walls or railroad ties. The composite he has developed could also be formed into large blocks that would safely encase the coal ash for long-term storage. At right, compounds made of coal ash. Courtesy of Dr. Kunigal Shivakumar, N.C. A&T University. “Coal ash is not a problematic waste material, it is a resource if we handle it properly,” Shivakumar says. “But it requires an investment.” His team is seeking funding to continue their research. For families impacted by the coal ash impoundment ponds, getting the ash cleaned up and ensuring access to clean water remain the highest priority. Caroline Armijo, who grew up near the Belews Creek Power Station, and is fighting to get the coal ash in that community cleaned up, sees innovative recycling projects as a step in the right direction. “We could easily be a leader in this, an international leader, in this issue. And I hope that we will be,” she says.